Air Pollution Slogans in Hindi & English - Best, Creative , Eye-Catching Air Slogans on Pollution in Hindi and English languages. We all know , air pollution is a big problem . The entire world is facing this problem . It is need to be in control as soon as possible .We all need to avoid air pollution and take part in activities that makes our earth free of air pollution. We are facing different pollution problems like Air Pollution , Soil Pollution , Water Pollution and Noise Pollution etc. 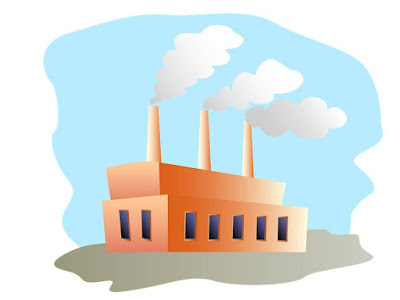 Air Pollution is caused by harmful substances and gases in the atmosphere. Day by day the natural air is getting polluted. Harmful materials are dissolving in air due to uncensored activities. Such impure air is increase health issues, diseases and death. Pollution is one among the vital problems which needs to be controlled by us. It must be detected and solved by the efforts of all . It is our duty to spread awareness among adults and students. Air pollution is the major problem of the present time. It is infecting the lives everywhere, particularly in the big cities health issues are common due to the massive air pollution due to industries and vehicles. Harmful Air pollutants in the atmosphere is a serious concern. It is inflicting human lives and producing health hazards.Uncountable wastes and gases are created by usual activities. Cities are infected with polluted air to great extent. Pollutants from burning fuel of automobiles, industrial processes, burning of garbage, etc contributory to the pollution. Natural pollutants like dust, soil particles, natural gases, etc are the adding pollution in the air. We have collected slogans on air pollution in English as well as in Hindi Language . Right now this list contains 165+ air pollution slogans , however we keep this growing ever. We add new slogans in the list as a routine . Keep sharing these slogans. Air pollution causes respiratory diseases. Air pollution has no borders lets unite against it. Air pollution is a destruction. Air pollution is a ladder to the destruction of nature. Air pollution is injurious to lungs. Air pollution is main cause of lungs cancer. Air pollution is not good to our health. Air pollution is reducing the level of fresh oxygen! Be ACTIVE about radioactive emissions! Be part of the antipollution revolution! Cleaner Air: The Solution to Air Pollution! Don’t be a brute! Don’t pollute! Don’t feel alone, make trees your friends. Plant them! East or west, air pollution is the worst. Everyone has a right to clean air. Forming Pollution Is Easy, But Resolving The Impact Of It Is Difficult. Give A Hoot And Don’t Pollute! Give some care to air to breathe clean and safe. Go Green to Breath Clean. If u pollutes the air, then the air will pollute u! If you cut a tree, you kill a life and reduce oxygen level. Inhaling polluted air is not fair! It’s our responsibility to reduce air pollution through tree plantation. Join the revolution, stop the Air pollution! Less air pollution, healthy life solution. Let your feet do the walking into cleaner air! Life without trees means life full of air pollution. Live and Breathe, Your Solution To Air Pollution! Look around, walk around, breathe clean air and don’t litter the ground. Love unity and humanity but hate air pollution. No Solution, more Air Pollution! Open your eyes and see the level of air pollution. Plant a tree, green the earth, clean the air, live happily. Plant more plants to reduce air pollution. Plant more trees to make this world air pollution free. Plant some trees to inhale oxygen fresh. Please Prevent Polluting Air And It Will Prevent Polluting You. Polluters are hidden killer of environment. Polluting air is not fair; it will put you all on bed. Polluting air is not fair; save trees to breathe fresh. Polluting fresh air is criminal offense. Polluting is like pouting, except people can die from the smell! Raise your voice against air polluters. Reduce Air Pollution & Increase Your Life Span. Reduce air pollution and save the Mother Nature. Reduce air pollution to induce life span. Reduce vehicles need to reduce air pollution. Say loudly ‘NO’ to air pollution. Stop air pollution if you want clean air to breathe. Stop polluting air before it stops your breathe. Support ecofriendly industrialization to reduce pollution. Trees are living beings, give you oxygen; don’t cut them. Wanna wear oxygen mask buddy? You’re killing my planet….GET AWAY! Your forefathers have given many trees, what you will give to your future generations. क्रांति में शामिल हों, वायु प्रदूषण को रोकें! प्रदूषित हवा में श्वास ठीक नहीं है! यदि आप हवा को प्रदूषित करते हैं, तो हवा आपको प्रदूषित करेगी! वायु प्रदूषण ताजा ऑक्सीजन के स्तर को कम कर रहा है! Pollution free life is just like a dream today. Pollution is everywhere especially the air pollution. We all need to be a volunteer of anti air pollution campaigns to solve this problem. In this mission these Air pollution slogans will help you. You are free to share and use these Air Pollution Hindi slogans and Air Pollution English Slogans.